Running paperless requires capturing crystal-clear scans of printed documents that can be extremely difficult and time-consuming to achieve. Imperfections on the page scan settings should be manually adjusted per page to ensure that the clearest document image is captured. Multiplied by the sheer number of documents in a typical organization’s archive, this amounts to a process that is as tedious as it is unproductive. Visioneer’s Acuity image enhancement software dramatically improves the visual clarity of every document you scan automatically. Our advanced algorithms and dynamic thresholding technologies intelligently optimize every scan to capture the sharpest images of your documents. Download the Visioneer Acuity Data Sheet to learn more about how you can capture document images of the highest quality by just hitting "scan." Straighten, crop, despeckle, reorient and adjust the contrast of scanned images all at the press of a button. Capture crisp and clean black-and-white images that accurately preserve fine details. Detect and remove specific colors from scanned documents to better isolate the details you want to capture. 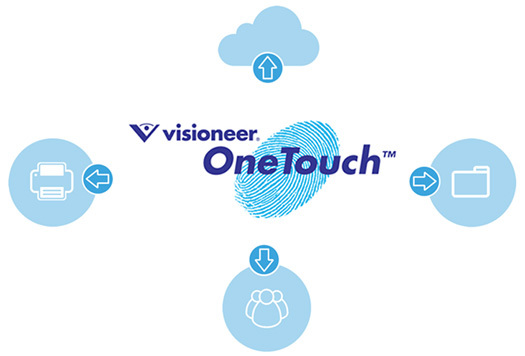 With Visioneer’s TWAIN™ driver or OneTouch®, Acuity can communicate with any scanner to dramatically enhance image quality.